Talk Title: How to Be You. Designing a Life of Significance. Dave “Hackman” Hackett (born David Jude Hackett on November 12, 1960) from Malibu, California is considered by the specialized media and his peers as one of skateboarding’s true pioneers and legendary riders. He has been featured in just about every single book of Skateboardings’ history and in several major skateboard films, videos and movies including the Multi-award winning documentary “DogTown and Z-Boys”. And “Day at the Pool”. An extremely versatile rider, Mr. Hackett won the 1975 Hang Ten World Championship Jr. Men’s’ Title at 15, and the 1978 US Open Men’s Bowl and Pool Riding Title at Kona Skate park. At 45 years of “Youth” he won the European Slalom Racing Championships in Stockholm Sweden 2005. Hackett came out of “racing retirement” to defend his 2011 Overall Masters Skateboard Slalom Championship title by winning the TS, Hybrid and Giant Slalom at the 2012 Oceanside Open against the World’s Fastest Skateboard Racers. 1982 was also the year Legendary DogTown photographer, Glen Friedman captured Dave’s signature Move, the Infamous “HACKETT SLASH” on film, which soon became one of the most recognized and iconic images in the World of Skateboarding. That image has been made into Tee shirts, Posters, Tattoos, a Skateshop Logo, Signs, Paintings, and Sculptures. Now, at over 55 “Years Young”- The “HACKMAN!” continues to defy the odds of what is possible on and off his Skateboard. The “HACKMAN!” still Surfs and Skateboards regularly, as well as plays Guitar. His Sponsors include (But are not limited to) KRYPTONICS WHEELS, KHIRO SKATEBOARD PRODUCTS, OSIRIS SHOES, H-STREET SKATEBOARDS, PARIS, TRACKER, & RADIKAL TRUCKS, NITRO BEARINGS, and BLACK LEATHER RACING. Currently, Dave Hackett is an accomplished fine artist, being the first to use his skateboard as a brush on canvas. Hackett has exhibited his work all over the world and is collected by some of the World’s elite Athletes and business people alike. He is also Consultant to the Action Sports Industry and the Creative Director and Master Life Coach Trainer of the Y.O.U. CONSULTING GROUP, LLC home of The Ultimate Life Tool®. The Y.O.U. Group is Dedicated to Revealing Perfect Relationships in Business, Home and Life. The Ultimate Life Tool® is Accredited by the California State Board of Behavioral Sciences, The state board of Nursing and the International Coach Federation. 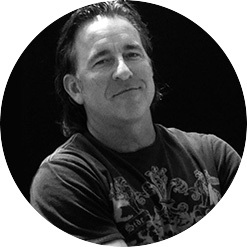 In addition to this work David is a Professional Drug & Alcohol Recovery Coach, Professional Prayer Practitioner (RScP) with Centers for Spiritual Living, Spiritual Guide and Executive Life & Relationship Coach. He is also an incredibly talented MC, Motivational Speaker and Seminar Leader who can hold any audience captive with amazing stories and humor about life and Other Wild Adventures…A Great Speaker for High School students! – Book Him!! For more information about Dave’s Life, Businesses and Exploits visit his websites! Dave has a Special Free Gift for the Summit participants! Click here for free gift. Once they take the test (about 10 mins) they will receive an email from one of our ULT Life Coaches for a complimentary 15 min review of their results!